Such a great selection. 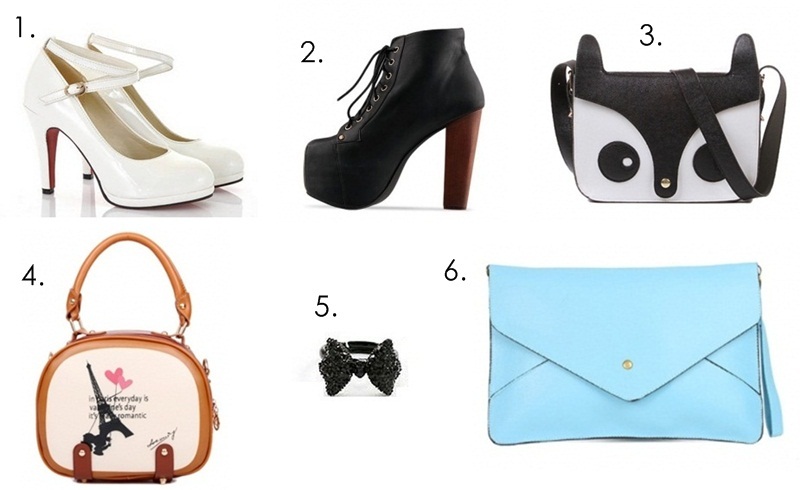 I really like those "Litas", and that bow ring is just adorable! I bought my mum that clutch in orange for her birthday! i love it! I want to buy myself one. my favorite ones are definitelly those white pumps that seem louboutin! amazing purposes, with this everybody can appreciate your good taste! That fox bag is darling! It's so quirky, but still quite sophisticated in black and white. oh i love number 2 and 6!!!!! so cute!